The top three drivers after an exciting 44 laps at the Spa-Francorchamps circuit. News articles taken from Autosport.com. Kimi Raikkonen conceded he did not have the fastest car at the Belgian Grand Prix after taking his first win of the season, which he labelled as a great result for Ferrari. The Italian squad has struggled to match the pace of the leading teams this year, but Raikkonen made good use of his KERS technology and his rivals’ problems to return to the top step of the podium for the first time since the Spanish Grand Prix last year. The 2007 world champion had to fend off a sensational challenge from Force India’s Giancarlo Fisichella, who finished less than a second behind. Raikkonen admitted he had to work hard for his victory. “It hasn’t been easy year for us,” said Raikkonen. “We were behind straight away in the first race compared to the top teams and we made a big step in Barcelona but it still has not been enough and for sure we have not brought new parts to the car for a few races as we are putting effort into next year. “Getting the win now… It’s quite a long time since the last one. My aim was to win at least one race and try and finish third in the championship, this helps a lot but I needed a bit of effort today to get the win. “We were not the fastest in the lap times but we were fastest and kept everyone behind. The Ferrari driver acknowledged that the crucial moment of the race was when he overtook Fisichella thanks to his KERS technology, and the Finn said it would have been hard to beat the Italian had he not passed him early on. “I knew that we needed to get past him because more or less we were coming in on the same lap and if I didn’t do it after the safety car they had too much speed to get it after that,” he said. Raikkonen’s was his fourth win at Spa. Giancarlo Fisichella believes he could have won the Belgian Grand Prix after scoring an historic second place finish for the Force India team. The 36-year-old Italian, who started the race at Spa from pole position, raced eventual winner Kimi Raikkonen throughout the 44 lap event and reckons his was the faster car. “Of course, obviously it is great result for us,” he said afterwards. “The important target was to score even some points, and finish second with eight points is a great day, but actually you know I was quicker than Kimi. “He could overtake just because of KERS at the beginning of the race and it is a little bit sad for that because I was quicker than him. I was keeping his pace, even behind his car, we did exactly the same strategy race because I finished second. After scoring his best result since the 2005 Japanese Grand Prix, Fisichella still refused to be drawn on speculation linking him to the second Ferrari seat at Monza: “That is just rumours, as I told you yesterday, I was just concentrated to do this race which has been a fantastic weekend for me. Sebastian Vettel believes the world championship is still wide open after his third place finish at the Belgian Grand Prix. The Red Bull racer returned to the podium at Spa, charging from eighth on the grid to finish less than four seconds behind race winner Kimi Raikkonen. The result moved Vettel back into third place in the standings, 19 points behind Jenson Button, who failed to finish the race today. Vettel was happy with the result after reducing the gap to Button. “I think we cut more points than all the rest except those two, but if you look at the championship board it’s a very good result,” said Vettel. “I think it is still open. This championship is a bit crazy, to be honest. We saw this weekend Force India were quick here and will be quick at Monza, it is up and down, so it’s important to be consistent. The German believes his poor qualifying hurt his chances of fighting for victory, as he reckons he was faster than Raikkonen and Giancarlo Fisichella. “We had a strong pace and were quicker than guys in front,” he said. “We lost the ground in the beginning but nevertheless a very good result. A good race with a mixed podium as well! Great result for Force India and once again shows just how competitive this season has been. Lewis Hamilton admitted there was nothing he could do to avoid the first-lap incident that eliminated him from the Belgian Grand Prix. The world champion was caught up in the melee at Les Combes and was collected by Jaime Alguersuari as he tried to avoid the accident between Jenson Button and Romain Grosjean in front of him. “It was one of those races,” he told the BBC. “It was a pretty bad start from the get-go but I tried to recover for it. I got sandwiched pretty much at the first corner and lost a bit of my front wing. “And then Jenson spun at Turn five and everyone looked like they were piling into him, so I backed off a little bit, and then I got hit from people behind me. I tried to avoid it all but it was just one of those things. Rubens Barrichello was left lamenting the problems he suffered at the start of the Belgian Grand Prix after losing a golden chance to get close to team-mate Jenson Button in the standings. Barrichello, starting from fourth, nearly stalled his car off the grid and was overtaken by the majority of the field. The Brawn driver changed his strategy during the safety car period and charged back to seventh position. The two points moved him to within 16 of Button, who failed to score after being spun out of the race on the first lap. Barrichello admitted he was frustrated by the start problems but was still happy to have reduced the gap to Button in the standings. “Third time that we have that and I feel sorry really, it shouldn’t happen,” Barrichello told the BBC. “But honestly I haven’t checked what happened but it was pretty much the same thing as the last races that I had [the slow start]. “I dumped the clutch and the anti-stall comes in and the car is not moving. That’s disappointing, but you know if you think that I had 26 points behind Jenson in the championship two weeks ago, I’m 16 now – so I’m getting back. The Brazilian admitted he was lucky as he finished the race with a smoking engine. “I prayed everything I know then,” he said. Fernando Alonso believes his retirement from the Belgian Grand Prix cost him his first podium of the 2009 season. “Today I missed an opportunity to be on the podium,” said Alonso, who was fighting in third place before his pitstop, when a problem with the left front tyre made him lose a lot of time. “I had a good start, making up a few positions and the strategy looked good. “The car was better than we expected and I was in third position when I came in for my pitstop and it became clear that something was wrong on my left front tyre and the team asked me to retire. “We now think it was damaged at the first corner at the beginning of the race. 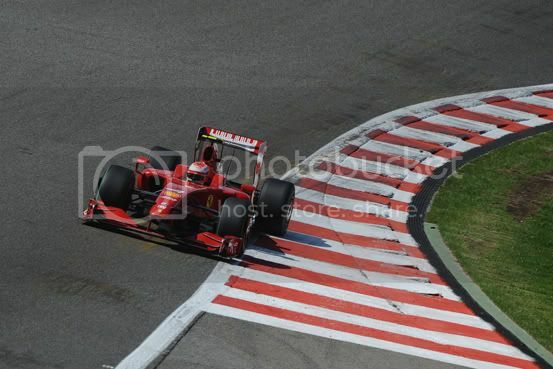 Anyway, Monza is in two weeks and I look forward to making up for the disappointment of today,” added the Spaniard. Team-mate Romain Grosjean also retired from the race after he was involved in the first lap crash. Grosjean, who made contact with championship leader Jenson Button, blamed the Briton for the accident. “I made a very good start, moving up to thirteenth place and I was keeping a good pace but then Button took me out at turn five and it was the end for me,” the Frenchman said. Jarno Trulli was extremely disappointed with his exit from the Belgian Grand Prix after failing to turn his strong qualifying into a good result. Trulli, starting from second position, had to retire with a brake problem, but not before all his chances of a good race were gone when he made contact with Nick Heidfeld at the start. “I can’t say how disappointed I am with that race,” said Trulli. “I was really expecting a strong result because we were in great shape after qualifying. But at the first corner I was right behind Heidfeld and at the exit I expected him to pull away faster than he did. “I’m not sure if he had a problem but I just touched him slightly and that broke the front wing. It was vibrating a lot so I had no choice but to make a pitstop. After a promising qualifying, Toyota left Belgium with nothing to show for, as Timo Glock also had problems during the race and finished in 10th. “I made a pretty strong start and was running fourth when the safety car came out so we had a good chance of points,” Glock said. “But at my first pitstop we had trouble with the fuel rig which cost me time and positions. The crew did well to quickly change to the back-up rig but nevertheless we lost time. Team boss Ross Brawn has commented that his driver Jenson Button is doing well despite the pressure on winning the title following a non-finish at Spa. Article taken from Autosport.com. Ross Brawn says Jenson Button is coping well with the pressures associated with being the world championship leader, but added that he must get used to how intense things are likely to get as the season reaches its climax. Button was forced to retire from the Belgian Grand Prix through an accident not of his making, and the Briton has seen his points lead dwindle to just 16 ahead of team-mate Rubens Barrichello with five races to go. Brawn added that he has reminded his driver that prior to the season Button and the team were not even in the world championship, let alone contenders to win it. “I keep saying to guy just look back six months and we didn’t have a team,” he said. “Whatever we get will be a huge bonus. Button admitted afterwards that his first retirement of the season stemmed from his poor qualifying form, having caught up in a midfield pile-up with Romain Grosjean. “I got a very good start, I got past Lewis [Hamilton] and obviously Rubens [Barrichello] had his problem,” he told the BBC. “I got pushed a bit wide at Turn 1 but I think I made up about four places at the start. “As we were going up the straight to Turn five, I went to the outside of Heikki [Kovalainen], braked, turned in and I was still on the outside, and Grosjean out-braked himself and hit my back wheel. I don’t think he was even trying to overtake me. “So it was frustrating to be taken out like that, especially when I had made up quite a few places at the start and that Rubens had had his problem, which was obviously good for me. The Belgian Grand Prix stewards have decided that no action was needed following the first-lap accidents that put four drivers out of the race. The stewards were investigating two separate incidents involving Romain Grosjean and Jenson Button, and Lewis Hamilton and Jaimie Alguersuari. All of them retired on the first lap after crashing out at the Les Combes corner. The incidents were deemed to be just racing accidents and no action was taken. Giancarlo Fisichella’s manager Enrico Zanarini says the Italian can expect a hero’s welcome, regardless of who he drives for, when he races in Monza in two week’s time following his performance in Spa. In an interview with the BBC, Zanarini again denied that Ferrari had contacted him about the 36-year-old’s services, but added that his phone was on ’24/7′. “I repeat that, nobody has been in touch,” he said. “And to tell you the truth, we find ourselves in a fantastic team with a great car for Monza because if the car is good here it is good here, it is going to be good in Monza. When asked if that would be because Fisichella was driving a red car he replied: “No, no, no. Because he is Giancarlo Fisichella and because of what he did today. “I have never honestly got so many messages and so many phone calls after the victory in Australia or after the win in Malaysia. Today was amazing. Zanarini added that he believed that Fisichella and Force India were capable of more giant-killing acts before the season is out: “You’ve seen it also for other drivers, not just Giancarlo, when you get the car that is working well, and let’s not forget that he is driving a Force India. Despite not finishing a race for the first time this season, championship leader Jenson Button has said that he shouldn’t feel down following the Belgian Grand Prix. Read on for more information as taken from Autosport. Jenson Button says he sees no reason to be down despite yet another disappointing result at the Belgian Grand Prix. The championship leader, starting from 14th on the grid, retired from the Spa race and has now failed to finish on the podium for five consecutive events. His team boss Ross Brawn also admitted during the weekend that the outfit was again suffering from the tyre warm-up problems that has hindered Button lately. But despite his poor run of results, and the prospect of struggling again at the Italian Grand Prix, Button is staying positive for the upcoming races. “We’ve got to look forward to Monza, which is a circuit with low downforce, like here, but less. The car did work here. We’ve just got to make sure we get the right balance with the car,” Button told reporters. “We’ve already talked about the ideas for Monza, the certain things you need to have a quick lap there, and also how we go about the weekend. Button’s team-mate Rubens Barrichello finished in seventh position to reduce the gap in the championship to 16 points. The Brazilian could have done better, but was hampered by a problem at the start and had to charge from the back. “Rubens obviously got a couple of points, then Red Bull made a mistake in the pit stop and he wasn’t able to score any points, which is good for the championship. “This is a race we expected the Red Bulls to easily win, so it shows that a lot of teams are strong now. The Briton made contact with Renault’s Romain Grosjean on the first lap, and the Frenchman said Button had taken him out of the race. But the Brawn driver saw things differently.